Is building a storage room, a summer house or a garden office a cost or an investment? There is no denying it; building a summer house, a garden office or a storage room in your garden will affect your bank balance. But is this simply a cost, or it can be considered an investment? Could the addition of a good looking and well organised storage room also affect the value of your home? 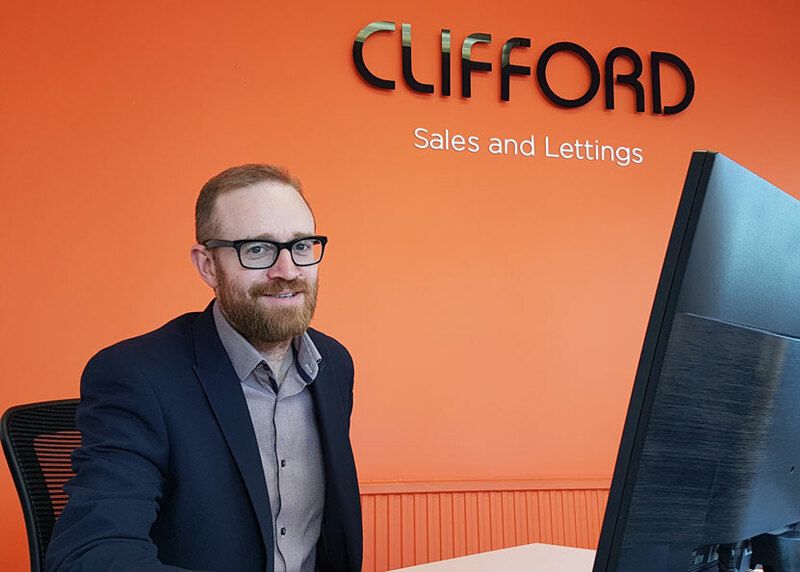 To give you an accurate and professional answer, we invited Ben Hooper from Clifford Estate Agent for a coffee and a chat in our newly refurbished garden. Ben has been working as an estate agent for 18 years. During that time, he’s worked in just about every role, from the office junior, copying and driving paperwork from office to office, or washing windows and taking pictures. Now, 18 years later, he owns his own business. He’s seen all states of the property market in that time, but he’s still here, and still enjoying the rich variety of experiences that being an estate agent brings; meeting new people, seeing new properties, and watching someone’s dream of owning their perfect home come to life. Ben works predominantly in Brighton and Hove, but so much of his experience can be transferred to pretty much any area in the UK. Hi Ben. First of all, thank you for joining me for coffee and allowing me to pick your brains. Here is the first thing we would like to know; how does having a garden impact on the price of the property when it comes to buying and selling? Having a garden is important, it’s true, but there’s a huge difference between having a garden, and having a well-tended garden. I’ve got two houses for sale at the moment. One of the reasons that neither of them have sold is because of how their gardens are at the moment. One has a large garage at the back of the garden with a driveway running through to it. While a garage is a great asset to have, it’s been installed at the expense of the garden. It’s left no usable space in a family house where there are likely to be children who could make use of that area. It’s putting people off. It would be much better for them to remove it and replace it with good quality, sensible, outside storage, and to reclaim some of the lawn. The other house has a huge garden – 100 foot long, and it has great potential, but the grass and plants are up to six feet tall. The first thing you think when looking at is that it’s going to take a lot of work to sort out. A garden is something that you’ll be paying a premium on, so you don’t want to go in knowing you’ll have to spend another £5 – 10,000 just to sort it out. So, in these cases, the price will need to be lower? It’s not always a question of the price. The houses simply don’t have that saleability factor because people don’t want to have the extra job of fixing it all. But what about the external space that people have to work with. Does it make a difference if the space is really small? Outside space is absolutely a premium in Brighton and Hove. If we were to take a look at the garden here, this is a relatively large space. There are a lot of houses around, even quite close to here, with much smaller outside area. The difficulty you’ll often encounter is that people don’t have storage in them. Sometimes they might have a shed, but because it hasn’t been properly thought about, it just takes up the little room that they have. Then people have to make the choice; storage or garden. If you look at the storage you’ve set up here, it’s quite small but because it is integral to the garden with the green roof and the dynamic look of it, it doesn’t appear to take up garden space. At the same time, you’ve got an enormous amount in there; three bikes, bins, a mower, two sunbeds, wood logs, tools’ boxes and all your bits and bobs. I only have a balcony, so don’t even have the room to store my bike. 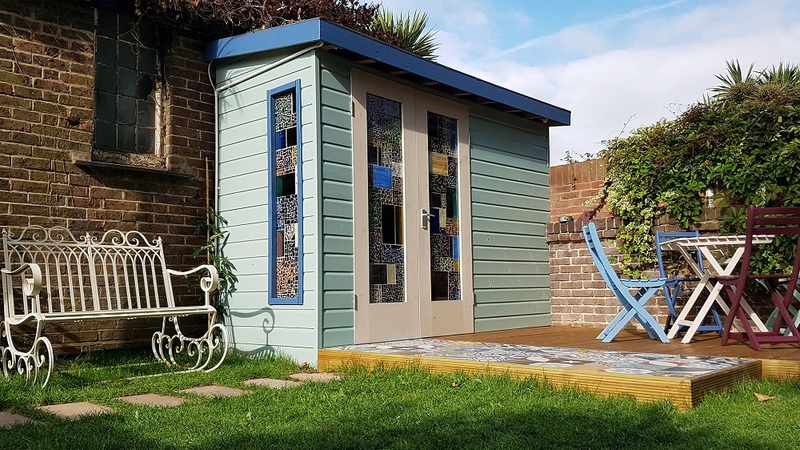 So, what people are looking for in a bespoke storage room is to find a way of fitting both the storage and the garden all together. Ok, so what about the other end of the scale? 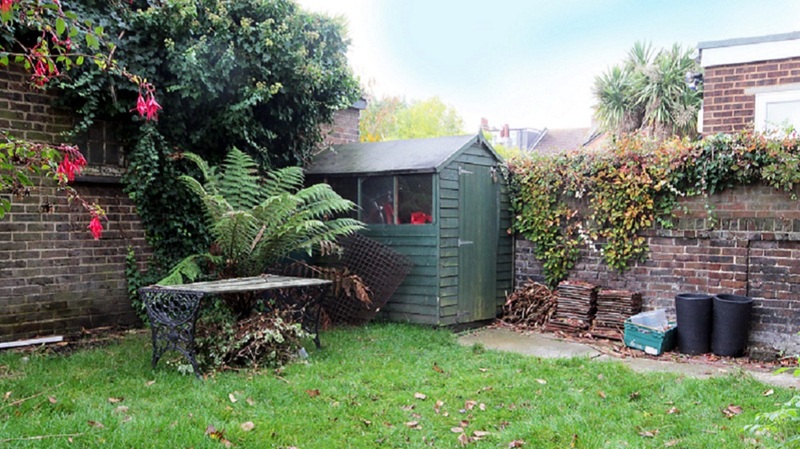 Does a larger building like a garden office affect the value of the price? It most definitely does, and it’s something I’m seeing more and more. It’s true, you do have to have a fairly large garden to do this, but with careful planning, it needn’t take up the whole of the space. There’s been a slight change in use of larger outside rooms too. Previously we’d see a lot of summer houses, but now garden offices are very popular. Or people have changed the use to something else entirely; a friend of mine has an outside building that he’s set up as a pub. That’s the beauty of them. The diversity of use. You might have an office from Monday to Friday, but by clever use of the internal fixings, it might become a playroom for the children at the weekend. Or you could use it as a guest room? Oh yes. Another possibility is renting it out as an AirBNB. People often want something that’s smaller and quirky. Maybe not a storage room as small as yours, but I’ve seen larger ones with lovely bifold doors and full insulation. Sometimes they’re better set up than the house! So, if we can, let’s talk about money. How much extra could a good garden building put on the price of your home? It’s difficult to put an absolute price on, because everyone’s got a different opinion about what they want and what their priorities are in a home. But people who want an outside space with storage will certainly pay extra to have it. In your case, it would easily add about £10/15k to the price of the property. We paid £5,000 to do the whole of the garden. The thing is, it’s not just about the money; it’s about the saleability factor of the home. Someone walking in might well dismiss the whole house because of the garden, but one with good care, good storage, and something nice to look at, they can start to see themselves using it every day. That might put the whole property to the top of their list. If five people viewed the house, you might find three of them are now interested because of that extra living space. So this is all really great advice to people thinking about installing an outside room to their garden. What other, general advice do you give to people selling their home? The first thing I say is to not spend a huge amount of money on it. Just make sure it’s clean and undamaged. When someone walks into your home, they’re already thinking about what they can do to make it more their own. If you’ve put energy and effort to the décor, they might find it not to their taste. They’ll want to redecorate to make things fit their furniture and the way they want to use things. Rather than that, it makes a lot of sense to make sure the outside of the house is tidy and clean. Way back, when I was just starting out, I was told it takes 11 seconds for someone to make a choice. We say, ‘don’t judge a book by its cover’, but it’s often what people do. If they’re put off straight away, it can be harder to change their minds. So, make sure the front door is clean and well painted, and make sure that the path has been weeded and so on. Just finding things that won’t put people off straight away. Plus, people walk past and drive past houses for sale all the time. There’s no point having a nice, shiny sale sign if the house behind it looks shabby. Make it look nice before they walk through the door. The house is obviously hugely important too. That also needs to be clean and tidy and well cared for, but it’s harder to show off its best features if people have been put off before they get through the door. Ben, this has been great and has given us such valuable information! It’s one of the things we want to be sure about when discussing these buildings with our clients. It’s important to us that we don’t just say what we think is right unless we know for sure that we’re offering the best advice. So, thank you very much again! Born from the desire to create unique, personal and luxurious spaces, we build and install high-quality, bespoke garden buildings, designed with the customer at their very core. Fully insulated, beautifully finished and utterly practical, they offer a great all-year-round space. New summer house and my garden just got bigger! Can you connect water to my garden room? A Room In The Garden Ltd is an Appointed Representative of Improveasy Ltd., a company registered in England and Wales (Co. Reg. number 7807352). Registered Office: Manchester Business Park, 3000 Aviator Way, Manchester M22 5TG. The firm is authorised and regulated by the Financial Conduct Authority (FRN 708623). The firm is authorised as a Broker, not a Lender, and offers credit facilities from a panel of lenders. The credit is subject to application and status.